May 15, 2016 - Yesterday I had a field day! In my hands I am holding the sword of Willem Bloys van Treslong (1529-1594). Bloys van Treslong was a Dutch nobleman who became known as one of the commanders of the ‘Watergeuzen’ who on April 1, 1572 captured the city of Den Briel. This marked a turning point in the uprising of the Low Countries against Spain in the Eighty Years' War. 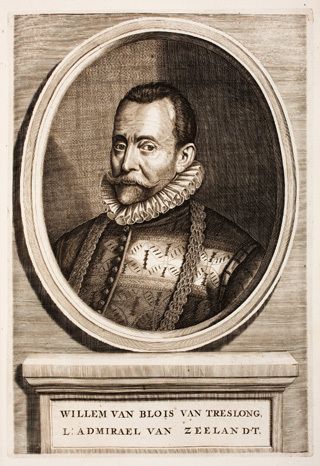 In 1573 Bloys van Treslong was promoted to Admiral of Holland and in 1576 to Admiral of Zeeland. In March 1572 Bloys van Treslong’s fleet got stuck in a frozen sea at Wieringen and was attacked by four Spanish companies. After they looted several farms in the area Bloys van Treslong and his men could only escape with the greatest difficulty. 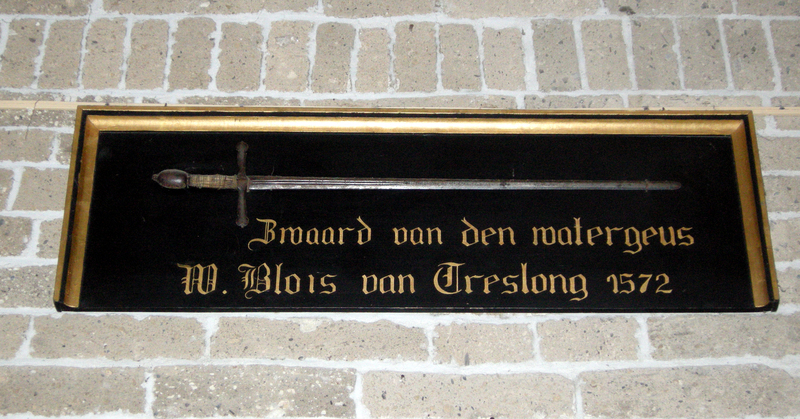 Bloys van Treslong hereby lost his sword, which to this day hangs in the Michael Church in Oosterland. 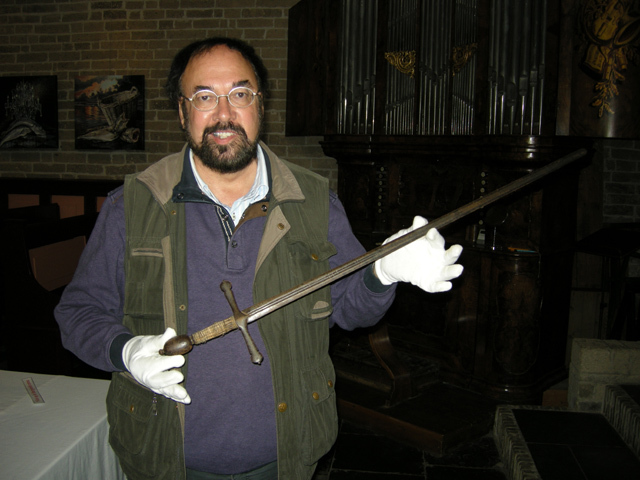 The sword is known as the ‘silver sword of Bloys van Treslong’. 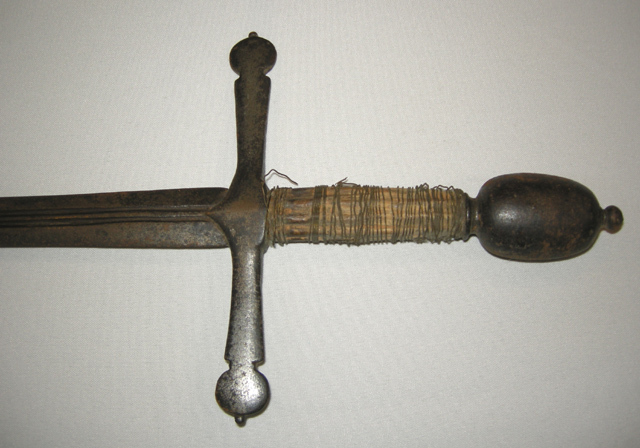 Upon close inspection I noticed that both the pommel and the cross guard of the sword once indeed had been silvered. Some of the silver is still visible on the cross guard. 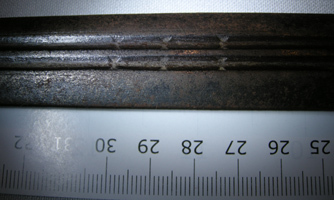 Unfortunately corrosion and rust have done their damaging work. 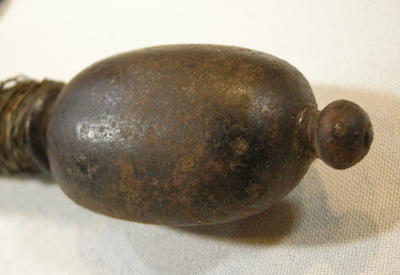 So not much of its original silver hilt can be seen from afar (the sword is securely fastened high up in the church so that it cannot be stolen). 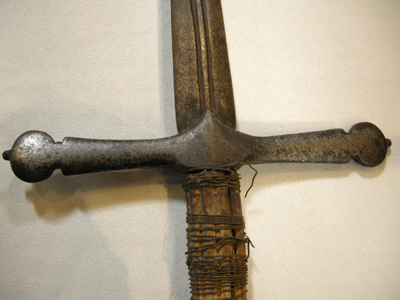 The sword is 93.3 cm long, with a blade length of 76,7 cm. 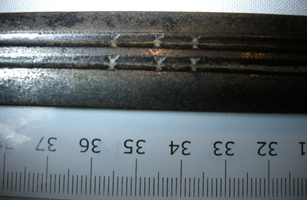 Maximum width of the blade being 2.7 cm at a maximum thickness of 0.7 cm. 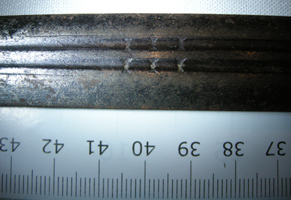 The cross guard is 7.7 cm wide. 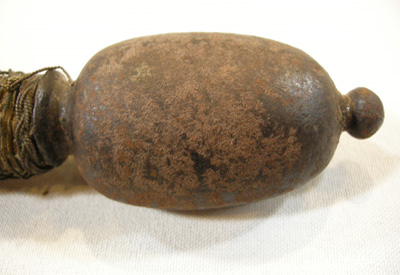 The flattened pommel has a length of 6.8 cm, a maximum width of 3,7 cm and maximum thickness of 2.8 cm. The sword is remarkebly light, its weight being 0.5 kg only. 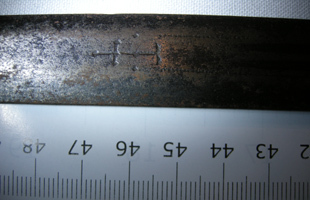 On each side of the blade in each of the two grooves three rows of three smith's marks can be found. 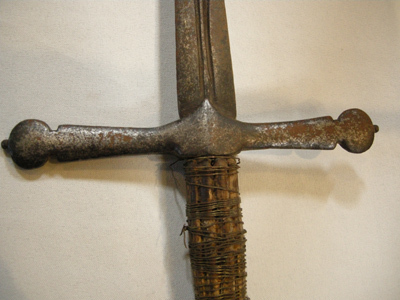 As mentioned above the side of the sword that is facing the wall is corroded. I wished that I would have had my soft plastic brushes and dust removing oil with me, together with a tin of Renaissance Wax. I could then have cleaned it and preserved it from further rusting. One might reason that this sword should better be kept in a museum. 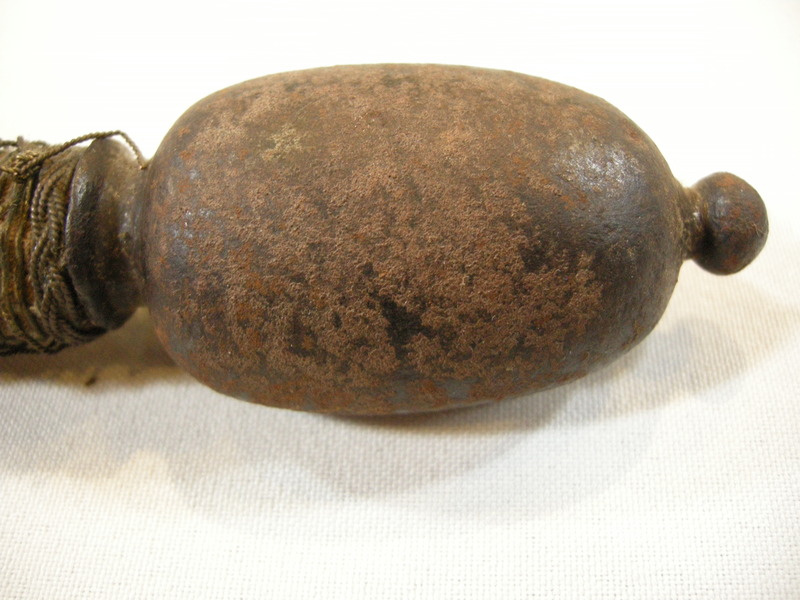 It belonged to an important historical person and can be precisely dated because of its terminus ante quem of 1572. On the other hand it has always been on display in the very church where it is kept. Het zilveren zwaard van de watergeus Willem Bloys van Treslong. With special thanks to Rob Buursink and Jan Piet Puype for their kind assistance.